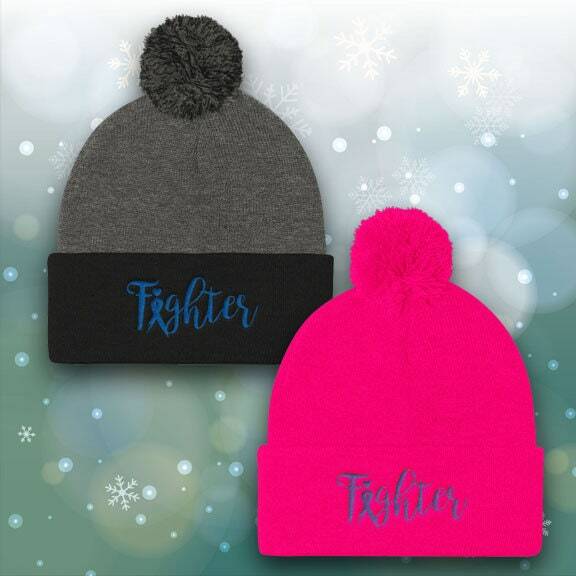 Fighter awareness ribbon beanie hats! 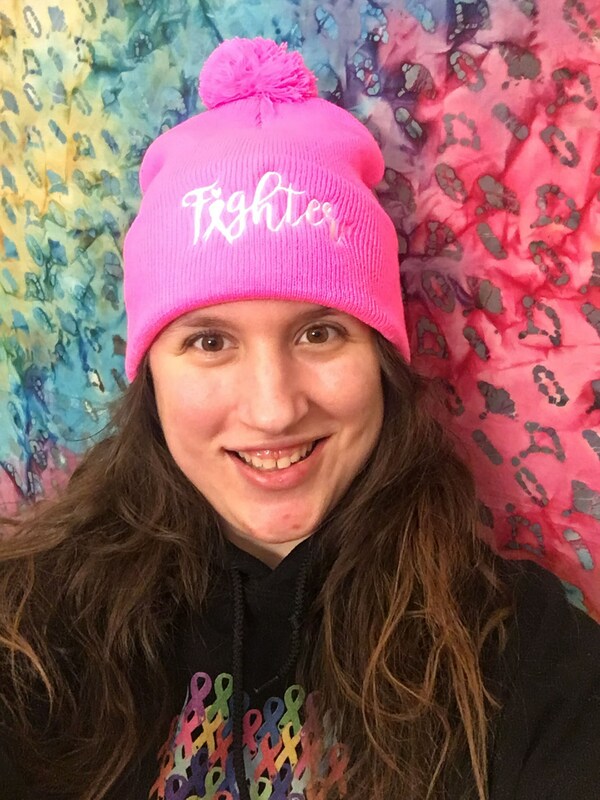 The perfect accessory to keep you warm this winter! 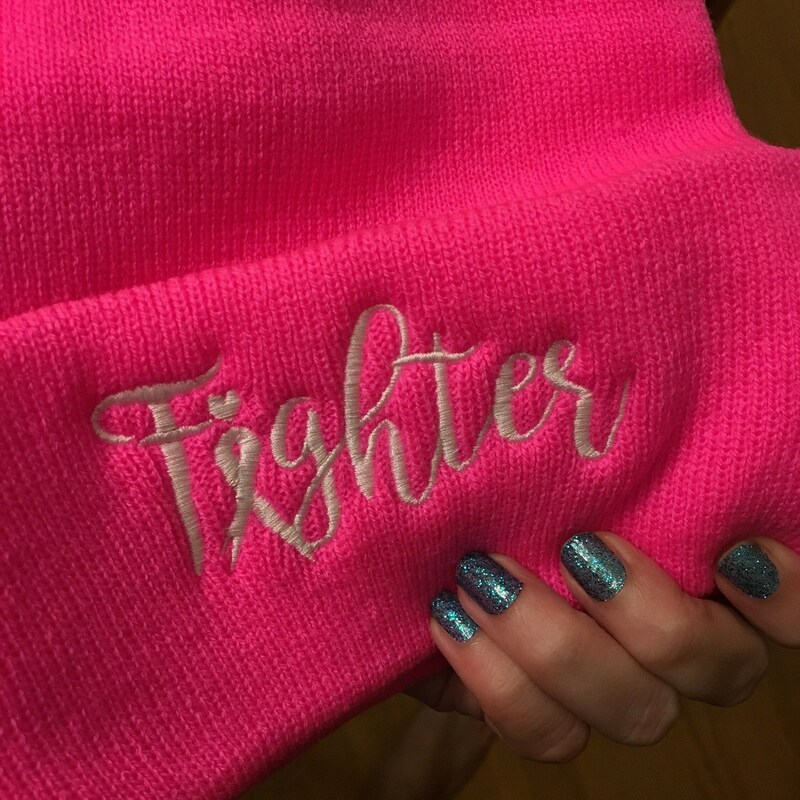 Fighter with the i an awareness ribbon!